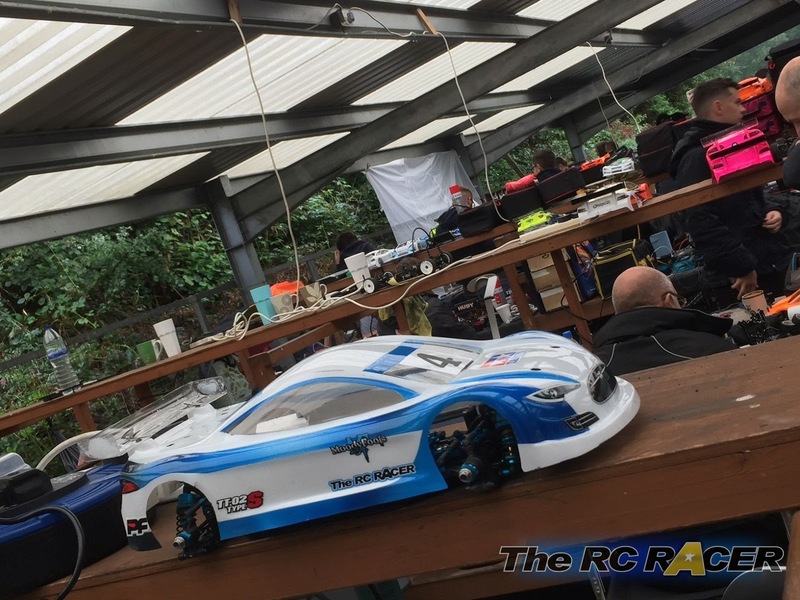 Over the weekend I took part in round 5 of the BRCA 1/10 electric circuit National series. 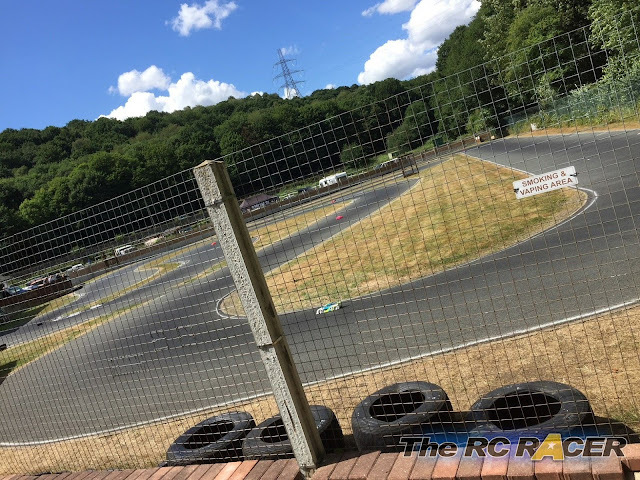 For those of you that are not aware this series of races provide six rounds of top level racing entertainment over the summer months at several locations around the UK. I fancied stepping up to play with the bigger boys (And girls), so here is my race report. What classes do they run? 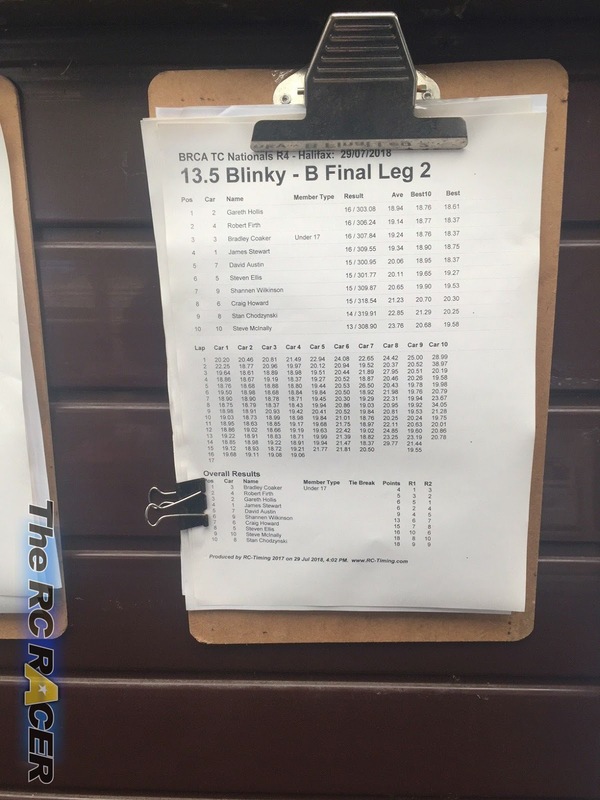 13.5 Blinky is the popular stock class where you need to run any of the sanctioned brushless motors on the list. You need to run your esc in blinky mode so the only way you can improve your speed is by adjusting the end bell on the motor. 13.5 open is the next step up in speed. Here the racers can use the advanced timing and boost features to provide a large hit of speed on the straights. Finally the modified class, these cars can run low turn motors and reach speeds well over 50mph. The obvious choice would be to take my TRF419XR. However I had other plans. 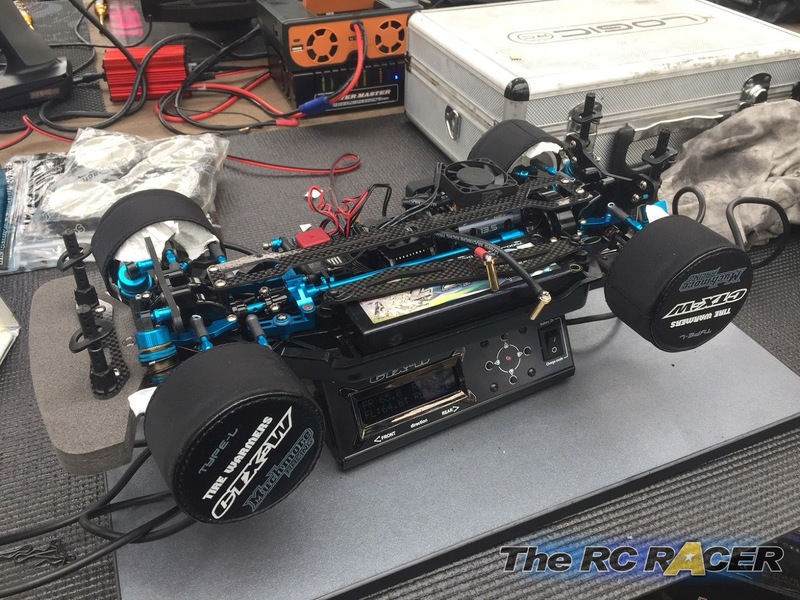 I constantly get lots of messages from people running their TT02's and questions on how they can improve them when racing at their local club. 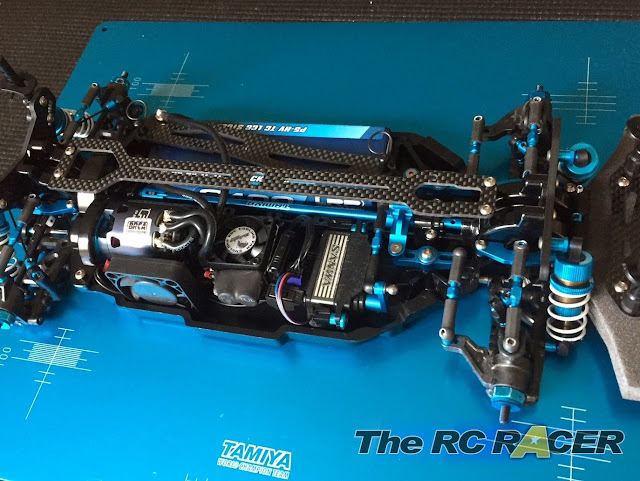 I thought it would be interesting to see how far I could take the Tamiya TT02 Type-S that I have been racing over the last few weeks (Click for our Review Here). I had been impressed from the start with it but I was keen to see how far it could go a range of choice hop-ups and modifications. I like a challenge from both a driving and engineering point of view so I was looking forward to seeing how it would fair at such a competitive level. Day 1 Practice.. I need it. All BRCA nationals are a one day event, held on a Sunday, allowing people to keep costs down. They do however provide a practice day on the Saturday. As I had never raced at Halifax (or indeed done much outdoor racing for a long time). Practice was going to be essential. I got to the track and the first thing I noticed was that it is a fantastic facility. A large covered pit area with electric, a covered rostrum and most importantly a separate hut with hot and cold food. I quickly set up and popped a lipo on charge ready for my heat of timed practice to start (You get around six 4 minute practice sessions). The first time out I just couldn't believe how large the track seemed. The view is great from the rostrum but the final corner onto the long straight seemed so far away. As there are no marshals on the practice day to pop you back on the track I was very tentative as I drove the TT02 around the track. The main thing that I noticed was that the car didn't have much initial steering on the high speed corners. I made a few tweaks to the chassis over the next two sessions and the TT02 started to feel much better. I started to feel more comfortable with the car and was pushing it a bit more. 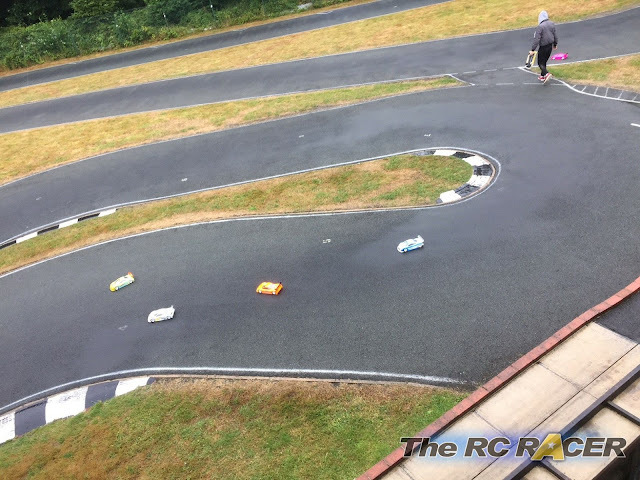 The top corner was still a pain, the car looked so tiny and hitting the kerb would send it flying, although I had become more confident with finding lines at the other parts of the track. One of the big areas that I also needed to address was tyre prep. BRCA events need you to race a specific tyre, this year it is the 'SWEEP EXP-34R2PG-BRCA 1/10th TC Competition tyre 34deg. Glued' A set of four tyres costs around £25. On race day you are allowed to use a maximum of two sets. I had never ran these tyres before, so I was learning the best way to prepare them before each race. I learned that brake cleaner was not recommended by many drivers (FX2 carpet additive is supposedly good to clean the tyres). Although I didn't have any of that so just used some old LRP carpet additive. Following that I used some MR33 additive which seemed to work ok and the tyre life remained good. Just when I started to at least feel like I was making progress the heavens opened and a new challenge awaited. Driving in the rain is something that I do not have much experience with other than a couple of IconicRc events. The rain was really heavy so everyone ran the BRCA wet tyres. I soon installed my old set and took the car out for my practice run. 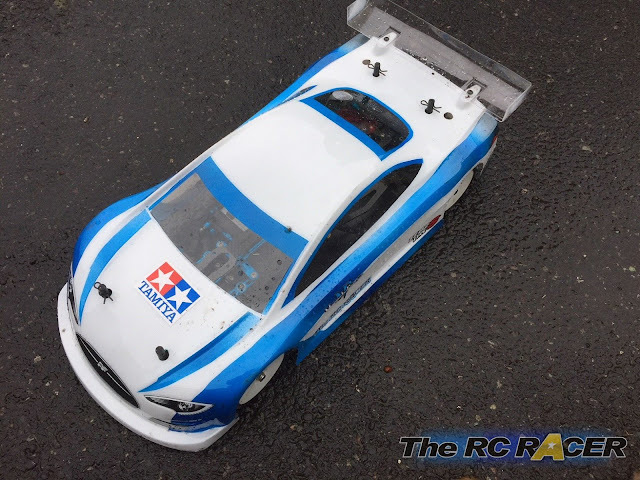 It was terrible, despite checking the electrics and fitting the tyres I had been lazy and not made any adjustments to the set-up for running in the wet. With that I had finished for the day and went back to change my set-up for the next day which was looking very wet on the forecast. An early start in the belting rain and I set-up in the pit area. In the evening I had made a range of set-up changes to help the car work in the rain. I had one practice session in the morning and was the only driver to go out. Despite the heavy rain I still needed track time and wanted to see if the set-up changes had helped. Luckily the car was much better, not perfect but it did have some grip and was quite predictable on the corners. 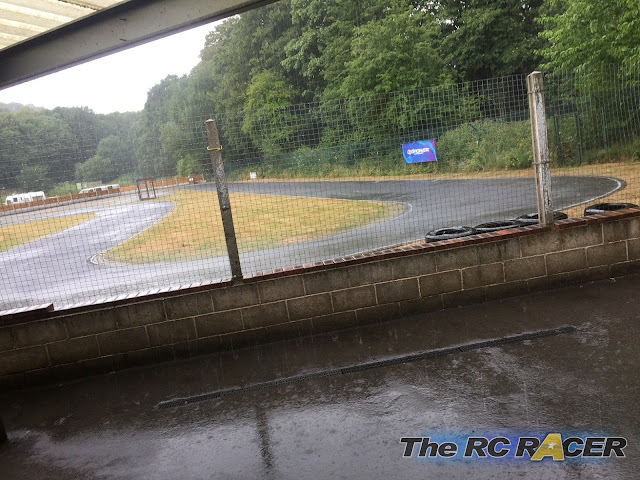 The weather was bad that some drivers had not made the journey down, so the heats were re-organised. You are placed with people of a similar skill level to ensure that you feel comfortable when qualifying. Everyone drove really well, I think we were all conscious as we were the first out and people were watching to see how the cars would run in the treacherous weather conditions. In qualifying you do get marshals that will pop you back on the track, but as it is so large if you end up beached on the grass you will loose a lot of time. I managed to keep the car nice and steady and got the third fastest time of the heat. This did help my confidence I had no real judge of where I would be compared to the other racers. The car was still sliding a lot on the faster corners so I removed the roll bars completely. This time out the car was even better as it would obviously roll much more when in the corners, ensuring the car felt planted. I soon managed to get into second place and despite getting in a cold sweat when approaching the top corner I was lapping nice and consistently. Unfortunately due to the conditions one of the racers I was lapping slid out in front of me and sent my car spinning. I didn't have much control, but I just wanted to ensure that I was not going to end up in the grass. I held down on the brake and the car came to a stop hanging on the edge of the verge. I drove away slowly and managed to get back on the track and finish the qualifier in third place. More changes, I lowered the roll centre so the car would lean even more. This time out the car was even better and I manged to get up to first position with less than a minute to go. The car was feeling good, and even though I was massively down on speed compared to some of the other drivers on the straight I tried to keep as much speed as possible through the corners to compensate for it. I started to push the corner speed more and more and then I went a bit too far and beached it into the grass. Loosing time and ending up in 4th. Bah! The final change was on the ride height. I raised it to 5.8mm all around. Again this would help it roll more, it would also help the car not bottom out and hit any standing water. After what seemed like a very long spell of relentless rain for several hours the Sun decided to come out just before our qualifying heat. This did lead to a quandary on weather to risk running the slicks or take it easy with the rain tyres. As the rain had really only stopped for around 15 minutes I decided to take the safe route. The track was really damp and there was no determinable dry line. I think I made the right choice. The grip from the tyres was really good, and the TT02 felt great! Unfortunately I collided with a car that had already span and it left me facing the wrong way. I had to wait for the cars behind to pass by to avoid being an obstruction. This put me dead last (or close to it). Luckily it was at the start of the heat so I just kept pumping in my laps, and with the improved conditions I made it up to third place in the time and got my fastest time by over two laps thanks to the improving conditions. After qualifying I had earned P6 in the B-Final. I wont lie I could have gone home then as I was really pleased with that result for my first time out, and with such challenging opponents and track conditions. With the track conditions noticeably getting better. I knew that I was going to suffer even more with my motor speed. I did rue the fact that I hadn't packed my Fleta, but I knew that I still would need more practice to really capitalise on the extra speed. The biggest concern was how to deal with the intermediate track conditions. It was still not dry, but it was not wet enough to run the wet tyres. So I mounted the slicks and thought that I would still run the car with its rolly polly set-up as a compromise. In the end this didn't work, the car didn't feel that great. It was easy enough to drive but as the grip was better the lack of response with the soft set-up was killing me trying to brake late and take as much speed into the corner as possible. I was getting wasted on the straight and as I couldn't carry corner speed as well now I was loosing loads out of the corners. I managed 7th which was not bad. For this final I just ran the dry set-up I had been working on from yesterdays practice. I figured that I would be quicker as I had more track time and had found some better lines. As I raced away the TT02 I could tell at the first corner sequence that the car was much better. I was still getting killed on the two large straights but I was able to be much more aggressive in the corners as I would hug the apex. I even started to take the top corner without hesitating. It was going well but then the motor seemed to start loosing even more speed than normal. It recovered after around a minute so I drove slow and steady hoping it wouldn't give up the ghost and ended up 8th, but with my fastest laps of the day. The two days were very demanding as I had a lot to take in, but more importantly they were great fun. The event may feature some of the best drivers around, but the atmosphere was friendly and welcoming to all. On a personal note I was really happy with my first outing at the Halifax track, especially in such demanding weather conditions. I am I no doubt that the result was helped by a few no shows and my slow and steady approach to each of the rounds. 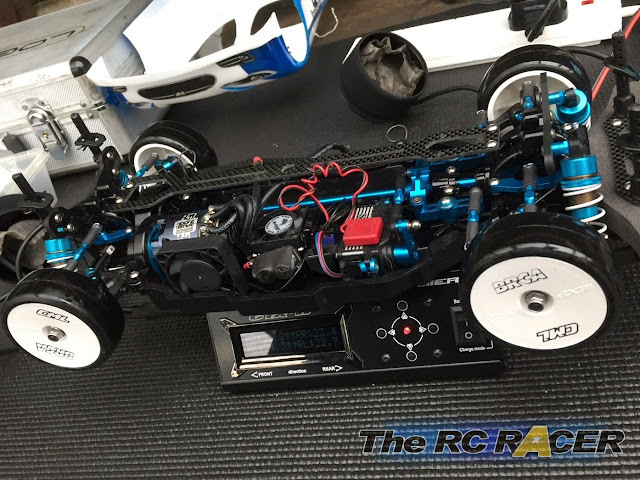 My tuned Tamiya TT02-S was also a revelation, it was more than capable enough and whilst it may lack some ultimate pace compared to top end cars, it was not holding me back. If I had more experience of the track and a quicker motor I am sure I could have even pushed it further up the grid. The most important thing is that I had loads of fun and it has given me an appetite to do more nationals next year. 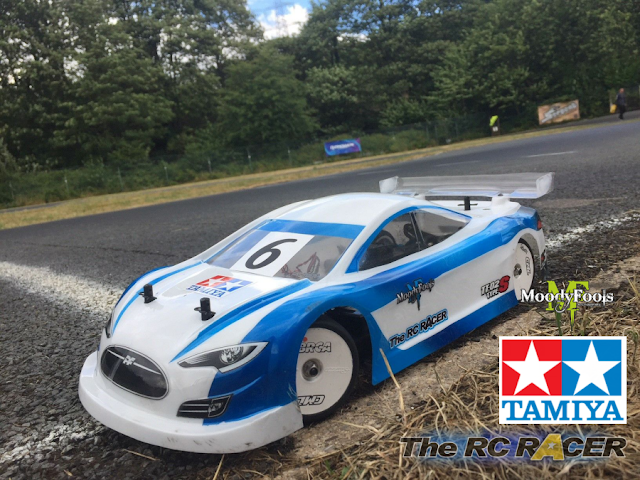 Thanks to Moodyfools and Tamiya UK for the support. 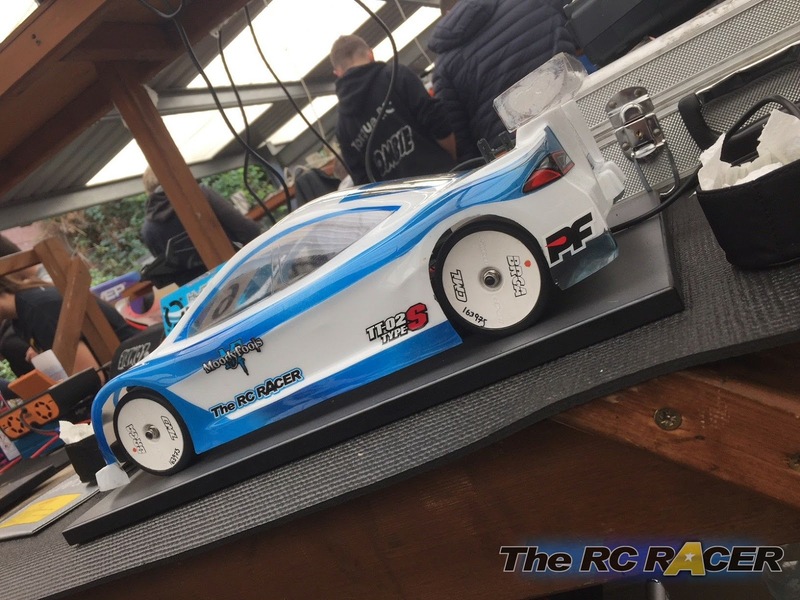 If you want to find out more about in racing in the nationals there are two main series, the Clubmans which is more relaxed and a good way into the hobby, and the nationals. You can find out more info on the BRCA site here: (BRCA). 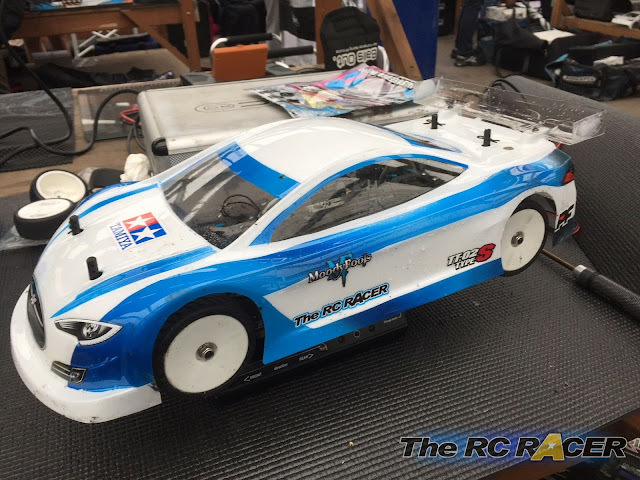 If you are interested in trying out club racing with a Tamiya TT02-S they are available from your local UK Tamiya Stockist. Contact http://www.hobbyco.net/ for more info. Where did you get the top deck from? I designed it. I will look at getting some available to buy soon.